My husband sometimes like to tease me for being fancy. And as someone who prioritizes quality over quantity, I admit that if a preference for grass fed meat, organic produce, Dyson products and high end candles makes me fancy, then I guess I am. I like being able to take the best care of myself, indulge in little luxuries and have nice things that enhance and bring ease to my daily life. The thing about luxury is that it isn't about expensive things at all, it's about experiences that impart a sense of pure enjoyment. It's about really indulging in the pleasure of something. This can be anything, even the act of applying lip balm. Today I will be introducing a range of lip balms designed to take lip care to the next level. Created in New York City, Emile Cordon seeks to elevate lip care by turning it into an experience in luxury. This concept is essentially a next level of self care. They want to change how people treat lip care as well as to help them to ensure that their lips are at their best no matter what they're doing. The Emile Cordon range of products are all artisanally crafted in the USA, utilizing the finest ingredients and exclusive fragrance blends. Emile Cordon Miracle Lip Balms make up a Lip Care Wardrobe that includes a selection of clear lip balms in six exclusive fragrance blends as well as a Haute Couture collection, a 2 in 1 lip and cheek tint that combines lip care with runway inspired colors. Formulated with nourishing ingredients including kukui nut oil, almond oil, vitamin E, and squalane, Miracle Lip Balms have multiple benefits like providing hydration and nourishment while softening lips. Anti-aging benefits of the rich formula include improving circulation and reducing lip lines. These artisanally crafted lip balms are made without any nasties like petrolatum, parabens, sulfates or phthalates. They can be used as a lip treatment, to nourish cuticles or as an after sun soother. 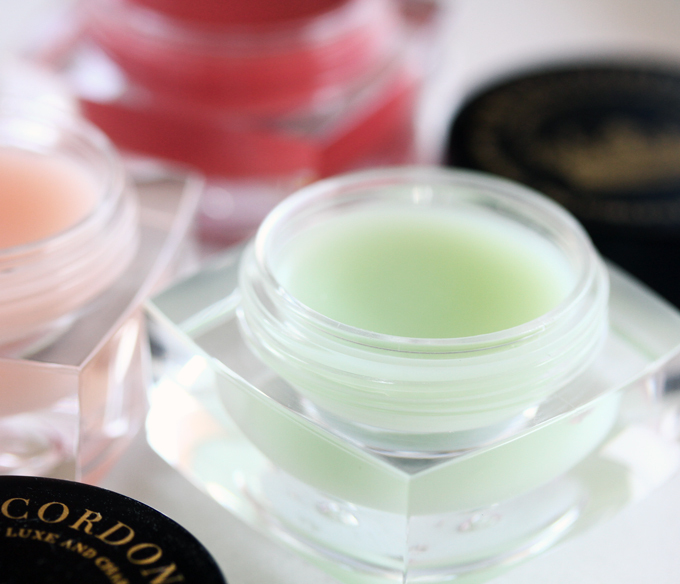 Emile Cordon Miracle Lip Balms are packaged in sleek, clear plastic pots with a chic, artful appearance and a substantial feel. A small spatula is included in every box to facilitate hygienic usage which I appreciate and use. The brand sent me the Rosé Imperial, Moroccan Mint lip balms and a lip and cheek tint in Chic Chic Boom. According to Emile Cordon: With notes of sparkling rosé champagne, fresh tea rose, charming vanilla, this true miracle lip balm repairs, moisturizes and transforming lips into its perfect condition. Significantly soothes and improves dryness and lip lines with natural emollients. Lips feel comfortable and are beautifully hydrated, smoothed and plumped for all day. Rosé Imperial has a sumptuous feminine fragrance and a smooth, luscious texture that feels immediately comforting and hydrating upon application. It imparts my lips with a light sheen and a marvelous dose of lasting moisture. It wears equally well under lip colors as it does on its own. The most impressive thing is the soothing hydration. I mean it wears off if I eat or drink but my lips still stay soft. According to Emile Cordon: With notes of Moroccan mint and mint julep, this true miracle lip balm repairs, moisturizes and transforming lips into its perfect condition. Significantly soothes and improves dryness and lip lines with natural emollients. Lips feel comfortable and are beautifully hydrated, smoothed and plumped for all day. As someone who isn't not big on mint flavored products, I was quite pleased with the subtlety of Moroccan Mint which is lovely and refreshing at the same time. Performance wise, it works the same as the Rosé Imperial. I like to switch between the two scents depending on my mood. According to Emile Cordon: With notes of rose champagne and strawberry leaves, this ultra rich 2-in-1 lip and cheek tint is designed with a buildable formula for a sheer to intense effect with a perfectly glossy finish. Infused with kukui nut oil and a blend of precious oils that nourishes, softens and protects lips, the formula ensures high precision, even coverage on lips, while the light weight formula delivers a customizable result on cheeks. In the container, Chic Chic Boom looks rather intense but when applied, it actually appears very natural. The rougey shade enhances the natural pink color of my lips and adds a light wash color and a dewy glow to my cheeks. I like to apply it with a brush. It blends beautifully, starting out sheer and can work up to the opaque coverage of my choosing without feeling heavy or clumpy. This product is extremely hydrating and comfortable to wear. I appreciate its versatility (it'll be perfect for travel!) and how it works with my current minimal makeup routine. 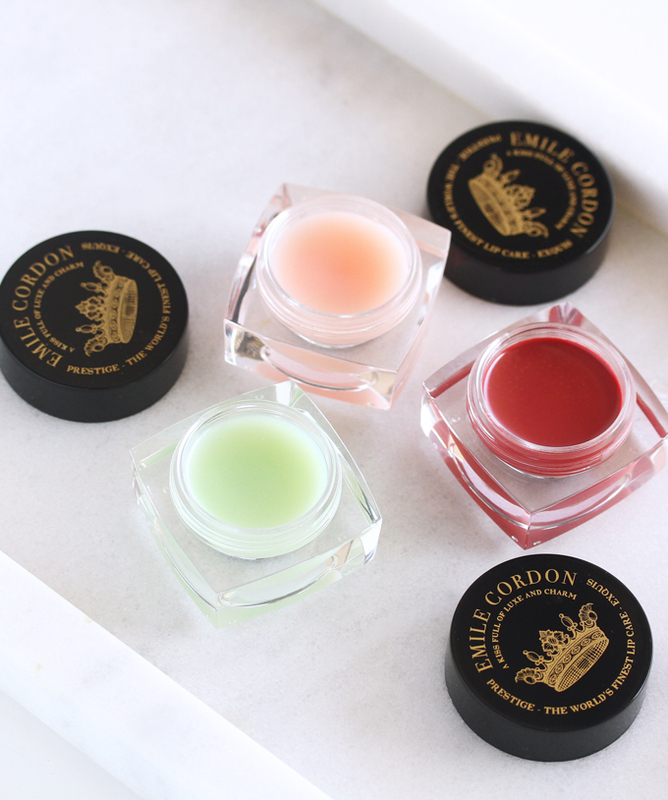 As someone who take lip care seriously, I'm a fan of the Emile Cordon Miracle Lip Balms I tried. They deliver on the experience and the products are beautiful and perform beautifully. They feel like a high end product with their luxurious, velvety texture that melds onto the lips with a lightweight and hydrating feel that is never greasy or sticky. The scents are lovely and enhance the experience. Yes they are expensive but you're getting a premium artisanal product. The concentrated formulations mean that you only have to use a tiny amount each time. 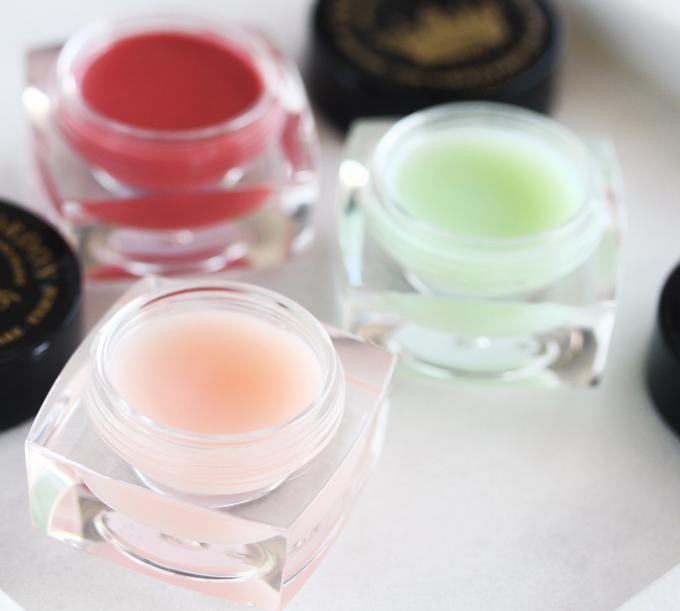 They work to care for your lips, nourishing and keeping them comfortably hydrated, smoothed and plump for hours. I actually like to use the Rosé Imperial as an overnight treatment to wake to soft, revitalized lips. This rivals my Laneige Lip Sleeping Mask and doesn't feel gloppy like it according to my husband who I share it with when I kiss him goodnight. 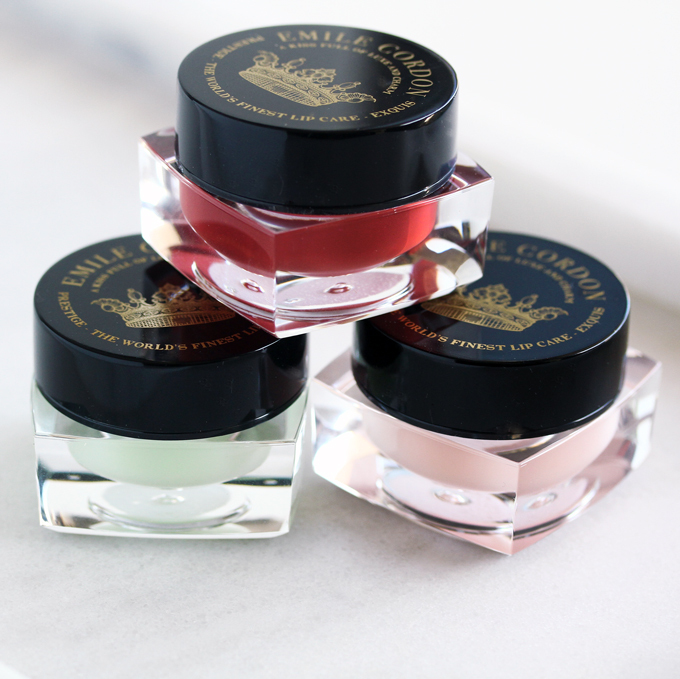 Yes there are many less expensive lip products out there but Emile Cordon Miracle Lip Balms are a lovely way to add a little luxury and self indulgence to the every day. They definitely cost less than a designer bag or even some makeup out there. And these would make a sweet gift for anyone who deserves to be spoiled a little. Ahem Mother's Day is around the corner. 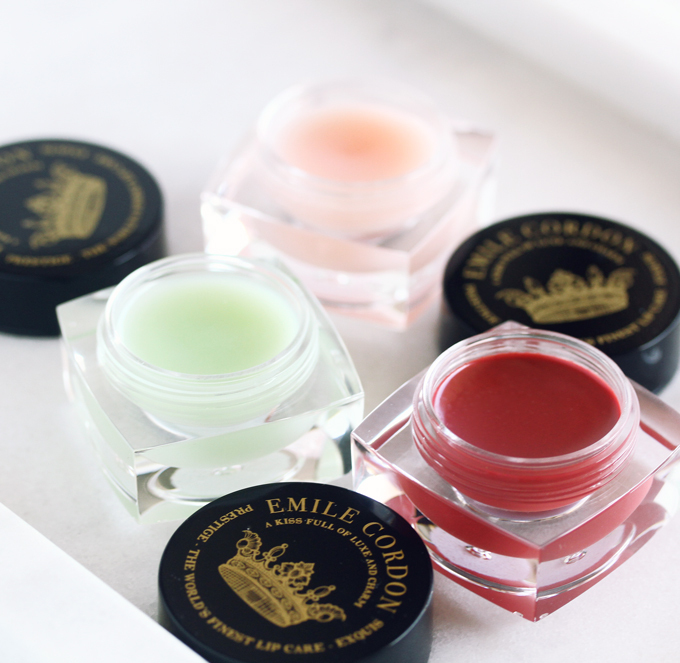 These Miracle Lip Balms and the full collection of Emile Cordon products can be purchased directly from Emile Cordon. They do offer international shipping. Have you tried any products from this brand? What is your favorite lip product? Disclosure: Complimentary products have been received for editorial consideration and there may be affiliate or referral links. 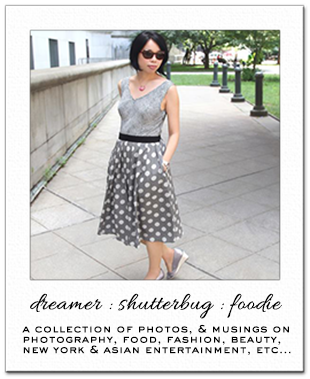 For more details about my product review policy, copyright, and information about affiliate links, please refer to the Policies page of this blog. Beautiful. A bit pricey but totally worth investing in. These lip balms look so tempting, I'm disappointed to read their review without swatches. However they are a bit costly but worth the cost. Love the shades and not so hyper allergenic but the packaging is so royal. You can tell just by looking at that packaging...fancy indeed:) I love the sound of these, chingu, esp. the Chic Chic Boom. Thanks for the heads up about the brand. I just use Aquaphor as balm lately, but when I feel "splurgy" I do like Fresh. I agree, the perfect gift idea. The packaging, scents, and ingredient list are certainly lovely! I only wish it came in a tube form so it could be more easily used on the go! Oh and nothing wrong with luxuries - enjoy what you enjoy right? Dear Rowena, you are so right that you are good to yourself and you prefer quality over quantity! No reason to tease you but I know how husbands are ;) As I'm wearing daily lipstick I never use any lip balm. But I see these lip balms would be a wonderful alternative. Thanks for sharing and happy rest of the week. Thanks for the heads up about my comment section, Rowena! I have my comment moderation set to NEVER so I don't know why this would happen:( Since Google made some changes to Google Plus, I noticed this captcha thing got more frequent on some blogs I visit! Yours is fine though. Preferring quality over quantity makes sense, especially when it comes to beauty and skincare. We can't be careful enough these days. The Miracle Cordon Lip Balm Experience does sound lovely. I love what you said about this lip balms keeping the lips hydrated and soft even after meals. I think hydration is always good. 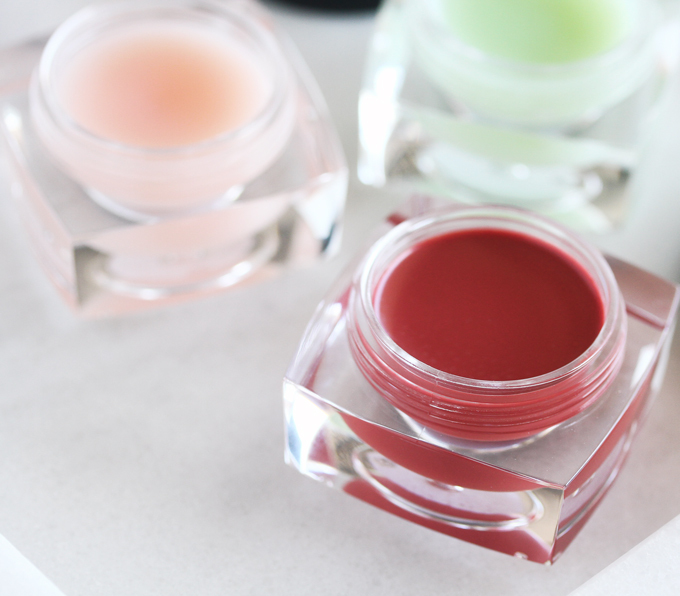 I typically stick with my Labello but these lip balms definitely sound worth a try. This might sound weird but looking at the packaging alone I would never have guessed this was made in America. It just gives me Euro vibes hehehe. I too am all for quality over quantity. It makes such a difference. Not just in how we feel but most times in how it was produced and by whom too. I need to try it. My lip balm is no longer satisfying to me: weather changed and with lots of wind I feel like my lips should have more care.. will try! Yes to quality over quantity! I'm a huge fan of Emile Cordon's lip balms, they're one of the little luxuries that really spark joy and I enjoy indulging in, not to mention they make great gifts! These lip balms look and sound amazing. I enjoyed your review.